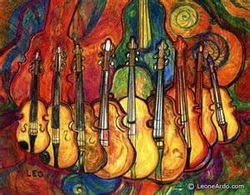 THE QUARTETTE ACCORD string ensembles offer extensive repertoire in almost every musical style. With few exceptions, the music listed can be performed by each group, i.e., THE ACCORD DUO, THE ACCORD TRIO, and THE QUARTETTE ACCORD. Nonetheless, you should always ask if you're concerned about how a given song will work with the ensemble that you wish to hire. Remember, it is impossible to list everything that we have available, so never hesitate to inquire about a specific selection that interests you. Also, depending on personal preference, you may want to include some of the classical/traditional wedding repertoire at your reception or dinner event, or you may prefer some of the pop/rock songs for your wedding ceremony. Be sure to browse down through all of the categories to find music that is best suited to your taste. For your convenience: 1) I﻿ ﻿have shown a few popular ﻿(i.e., not ﻿classical﻿)﻿ options in each category; 2) I ﻿have﻿ ﻿shown some﻿ ﻿of the most ﻿frequently requested selections in ﻿BOLD﻿ print; ﻿and,﻿ 3) I ﻿have ﻿﻿added﻿ an asterisk (*) next to selections if an online sound sample is available (click on LISTEN TO US). ﻿ We generally recommend a mixture of musical styles for background music during a cocktail hour or dinner reception. For an open house or intimate romantic setting, you may prefer a higher concentration of classical selections. For your convenience: 1) I have shown some of the more popular options in ﻿BOLD﻿ print ; and 2) I have added an asterisk (*)﻿ next to ﻿﻿selections ﻿if an online sound sample is available (click on LISTEN TO US).